Inside, the feeling is tranquil with glimmers of Regency and Art Deco. The 10,000-square- foot central atrium offers a dramatic vaulted core reminiscent of grand cathedrals and Hitchcockian mid-20th century buildings like the old Penn Station or the Singer Building. Reaching eight stories up, each floor of guest rooms can always see right into the heart of the space. 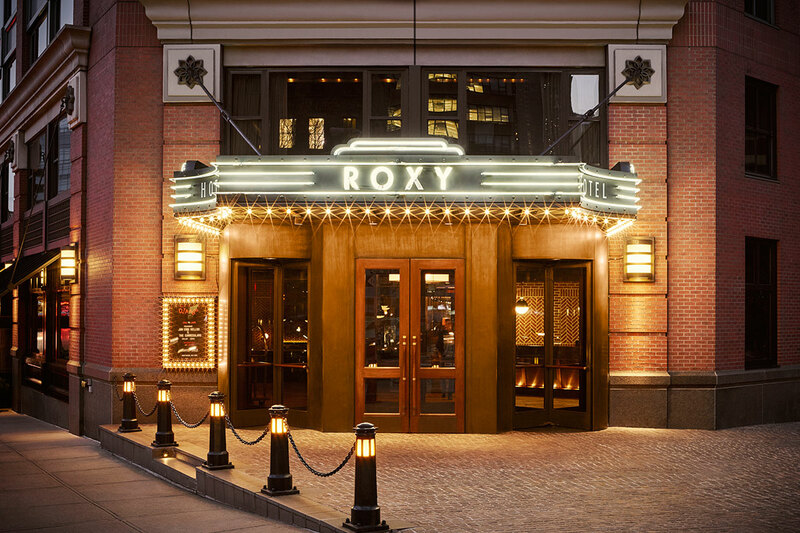 Within it, the Roxy Bar and Lounge provide the perfect backdrop for leisurely drinks and late cocktail gatherings for both guests and New York natives.